More pieces of the puzzle are slotting into place, as Fairy Tail continues to head towards its conclusion. The one issue, however, is that while big bomb shells are certainly dropping, and earth shattering revelations are a plenty, the way the characters and the world is reacting to all of that is a little bit underwhelming. Case in point; the things that happen this week, and the way some of the most important characters of the show react is just unnatural at best, and flat out weird at worst. I’m not entirely sure if its the anime that’s short changing these great moments, or if its the source material and Mashima-sensei that ran out of a bit of steam near the end. 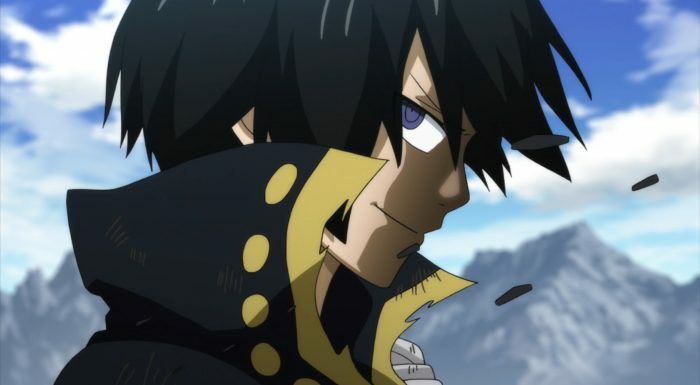 Whatever the case may be, while the big reveals that Zeref throws in Natsu’s direction are certainly interesting and change up the overall dynamics of the story and the world, I just feel like they’re not given their proper due in the way that this show and franchise are known to do. So lets get into the first of the major reveals, and its one that we, the audience have known about for a while; Natsu being E.N.D. Now here’s the thing, this is a big moment for both Natsu and Zeref. Natsu has, until this point, believed that he’s a human, and that Igneel just took care of him out of the goodness of his heart. What Zeref reveals, however, is that it was actually Zeref that entrusted Natsu with Igneel, who then went on to use Natsu for his own ends. Sure Igneel grew to love and care for Natsu, but the misery and loneliness that Natsu felt was because of Igneel and the rest of the dragons. 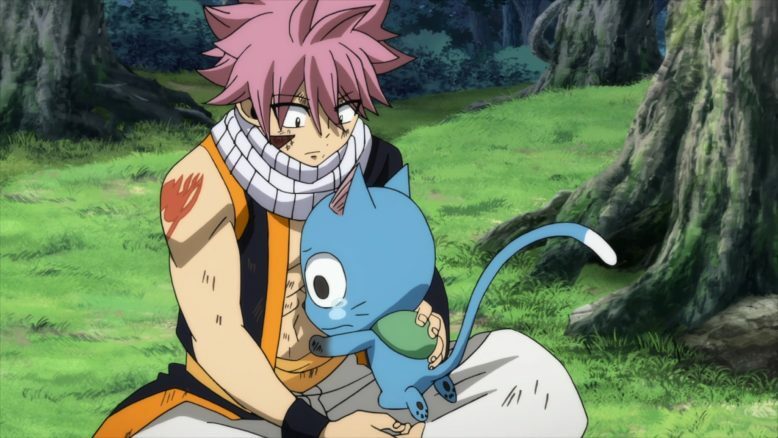 So in essence, Natsu, the existence we know as the protagonist of the show, has been used by the adults that were supposed to take care of him and nurture him. Zeref was unable to really care for the creature he had brought to life, and thus threw him on his Dragon friend Igneel. And Zeref’s hope in all of this? 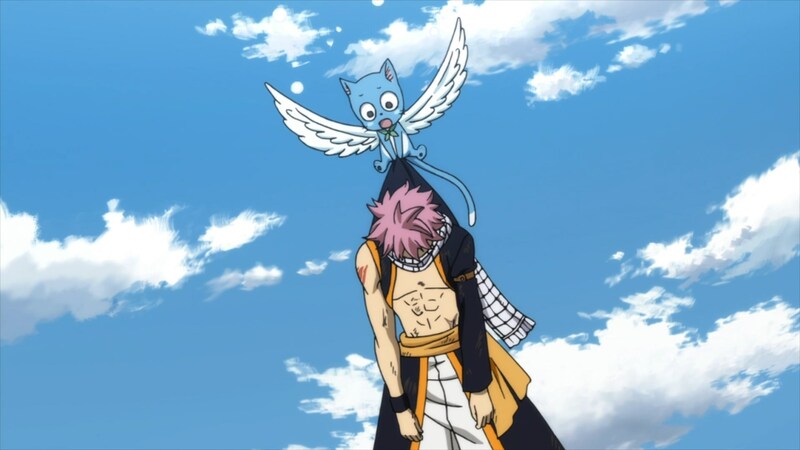 To have Natsu be able to kill him in the future. Now lets think about all of that for a second, and just how dark and twisted it all is. Zeref is kind of the person responsible for the being he brought into this world, and yet his sole concern is to use this being (who looks like his little brother mind you), to die. Igneel, who sees enormous potential in this child and is a surrogate father, then goes on to also use him to save the world. Yes, the idea of saving the world is noble, but sacrificing both Natsu’s childhood and his place in time is pretty darn selfish. Speaking of which, the thing I’m less surprised by is the whole time travel thing, even if it was a new, unexpected twist. Mashima-sensei has a habit of putting some of his primary characters out of time, and then bringing up that particular fact in the last few segments of his stories. If you’ve read Groove Adventure Rave’s manga, you’ll see that this kind of a pattern. 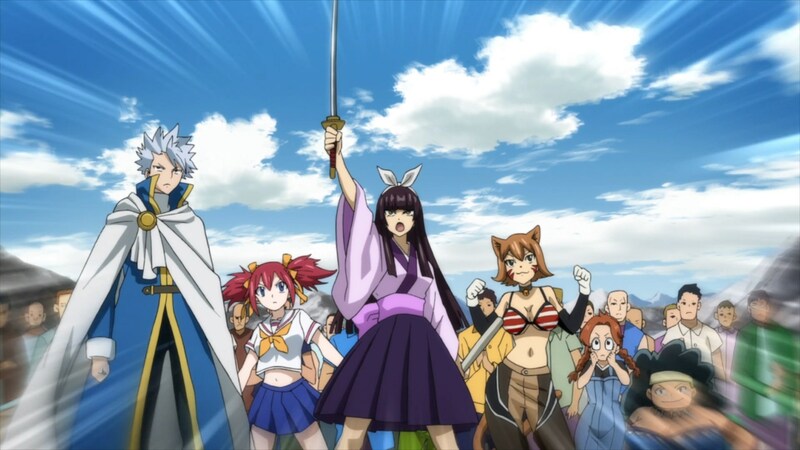 So the fact that Gajeel, Natsu, Rogue, Sting and Wendy were all pushed into the future doesn’t surprise me. The eclipse Gate being there and what not (created by Zeref) definitely supports this idea. What is new and interesting, however, is Anna and Layla’s connection. 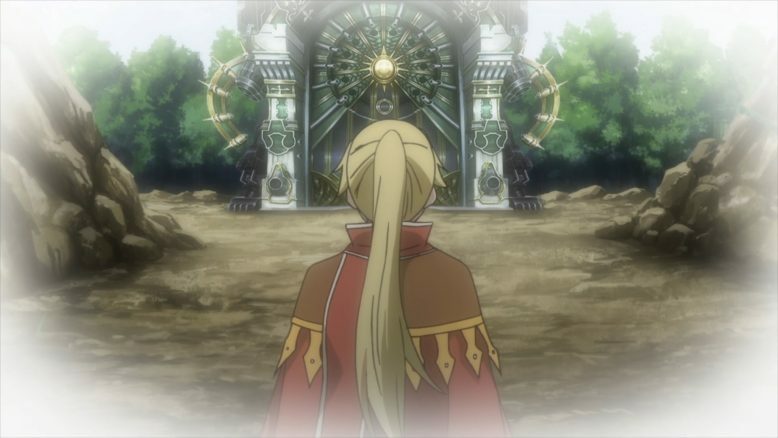 We now know that Anna was the Celestial Mage from Zeref/Natsu’s time, while Layla Heartfillia was actually the Celestial Mage in the year 777 that opened the gate from HER side. Seems like Lucy’s family and life is pretty tied to Eclipse, which ultimately ties her to Natsu and Zeref as well. As to why Layla actually opened the gate from her time? That’s something we’re going to have to learn and find out still. In any case, with all this information thrown at Natsu, the first thing he does is obviously reject these things as lies. 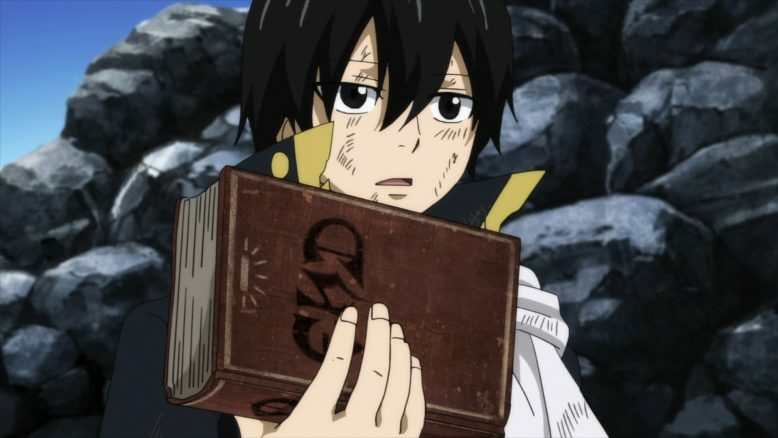 Of course, Zeref is fully prepared for that, and uses the E.N.D book that Natsu had seen before, and actually shoots it down, which in turn also hurts Natsu. 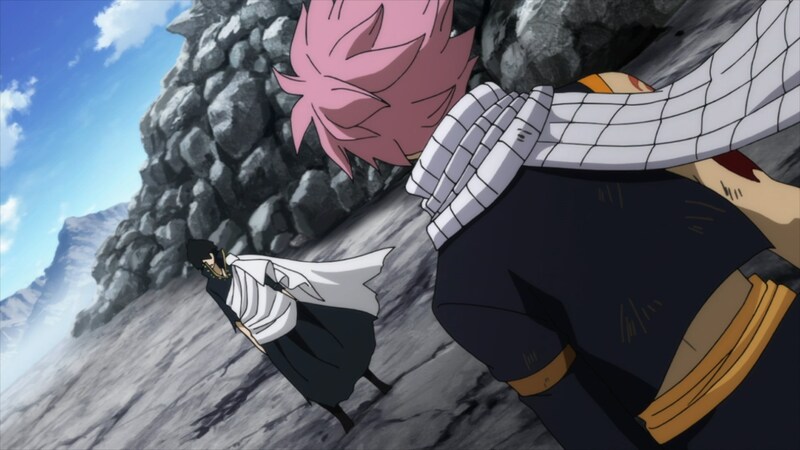 And then, Zeref reveals the thing that I think ultimately prevents his own wish from coming to pass: He informs Natsu that if Natsu does kill him (and indeed it seems like he can with Igneel’s power) then he will also die. Thus Happy jumps in, burning his own hands in the process, to save his friend. Natsu is dragged away by Happy, and Zeref ultimately falls into full on Sprigann Mode, and decides that he’s not going to stop now. Now, there’s a couple of big implications here. 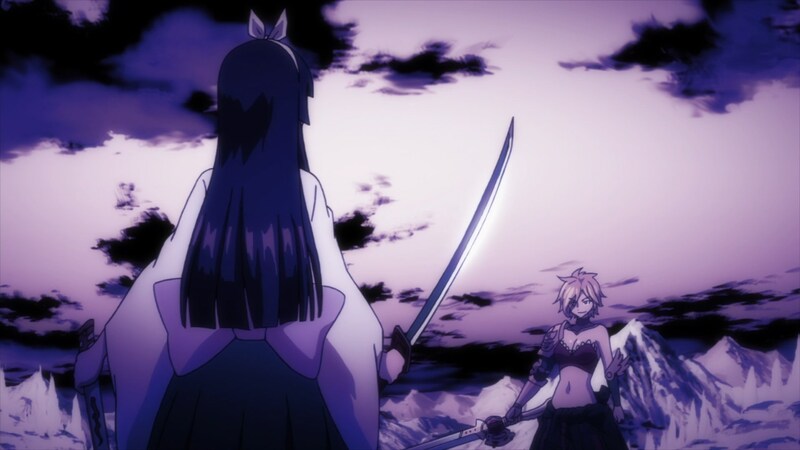 For one, Natsu’s lost his chance to take down Zeref (or anyone else it seems). Igneel’s last bits of power are gone, and so now Fairy Tail has ultimately lost its big trump card in this battle. From a story telling perspective, I think that makes sense, since it really didn’t feel like the big epic moment for Zeref’s end. On the other hand, it does leave our heroes and Mashima-sensei in quite a pickle. I feel like the story is being written into a corner now, and it may be hard to have Fairy Tail ultimately win this in any sort of believable way. But, setting all that stuff aside for a second, what really bugged me about this episode was how it didn’t really focus on showing us what Natsu felt after learning all this information. Him being a demon is pretty despair inducing news, let alone that he’s E.N.D, Zeref’s brother and that if Zeref dies, he dies. And yes, I get that we get that tender scene between Happy and Natsu, but that scene is more so about Happy and what Natsu means to him, rather than Natsu himself. I keep calling back to it quite a bit, but I was hoping for something like what we got in the Tenroujima arc, with Natsu and Gildarts. That was a moment where the story and the show focused on Natsu, what he was feeling, and really gave him some unique character development. Natsu learning that he’s END has the potential to be a character defining moment. Yet, we never really get anything from the guy, and the whole fact is kind of brushed aside. It feels like a real missed opportunity, especially given how good Mashima-sensei is at the character and emotional beats of his stories. 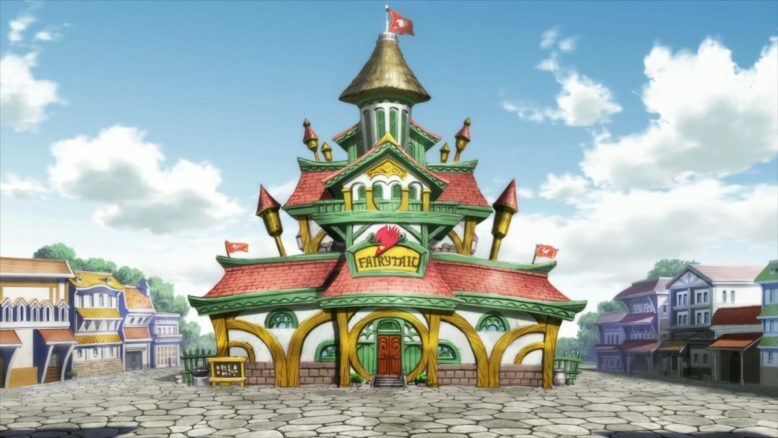 Ultimately, what it seems like this final arc of Fairy Tail is really concerned with, is just dropping all the relevant story plot points and information, and wrapping things up. I get the desire to do that, if only because I as a viewer want to see it. There’s a lot of clever ideas and well thought out pieces to this whole story, but I don’t think this final arc is actually elevating them to anything other than neat ideas. On paper, these ideas are pretty darn cool, but without the execution, story and character moments to properly build up, reveal and explore them, they really kind of lose their potential and impact. I feel like we’ve been getting that with Natsu a lot in this final arc. The last show really teased on this big reveal of E.N.D at the end of the Tartaros arc, but I feel like this episode, never really delivered on the promise and potential we saw then. And a big reason for all of that, is because there’s too much happening in the story to really give these big moments time to breathe. I mean, we get through the Natsu stuff this week sure, but there’s also the battles that are happening at each of the four borders of Ishigar, that take time away from everything else as well. The smart move, personally, would’ve been to give this Natsu moment more time and space to really sink in, and to explore it. Not to mention the fact that Natsu failed to take down Zeref, something he promised his comrades, and the ramifications of what that will have on morale for this final battle. And of course, there’s Gray learning that his best friend is actually the demon he’s been training to take down since Tartaros. Ultimately, I feel like I have very high expectations for this show and story, and that they’re really not being met. I realize that I am giving this show a lot of flak, maybe more than it probably deserves, but that all comes from a place of love and high respect. Fairy Tail has, over the course of its animated run time, delivered amazing moments that were really hype inducing, exciting and emotional. The franchise has also done a great job of building up its various plot points. So to see it all amount to anything less than spectacular, less than what we’ve seen before. Well… Its hard to really accept and appreciate I guess. And look, I still hold out hope that this will all make sense in the end. It may just so happen that this final season may not be the best thing to watch on an episode per episode basis. It may just be that the story is best viewed as a whole, and that all these missteps are in service of a greater overall story. That’s my expectation, and that’s my suspicion with how the show is almost just throwing out facts, one after the other, with little fanfare. On a weekly basis, its extremely difficult to find that satisfying. And while the past two seasons of Fairy Tail have done a great job of providing us with some great, satisfying moment on a per episode basis, it seems like this final arc just can’t function that way. Its a mismatch with the anime medium perhaps, and a lot of that friction between the manga and anime mediums, is perhaps presenting itself in the story as a whole,. That’s probably the case, but it does make it hard to rate individuals episode really highly, or be utterly impressed or floored by them. I guess its still too early to really tell if this final arc of Fairy Tail is any good or not.